In her petition, BJP's Meenakshi Lekhi had claimed that 'the words used and attributed by him (Rahul Gandhi) to SC in the Rafale case has been made to appear something else'. 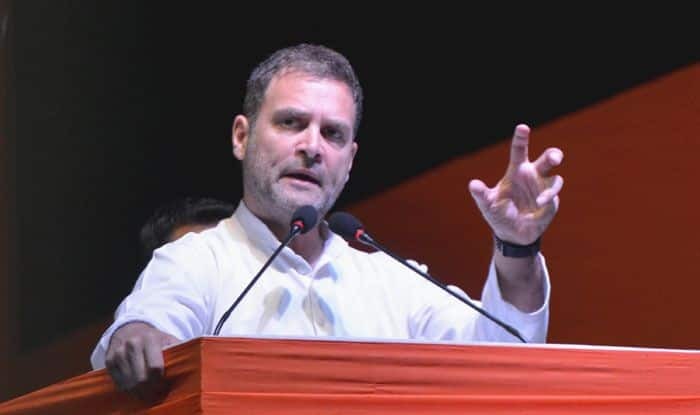 New Delhi: Supreme Court on Monday sought an explanation from Congress President Rahul Gandhi for his alleged contemptuous remarks on the apex court’s recent decision in Rafale verdict review case. “We make it clear that views attributed to this court by Rahul Gandhi in media or public on Rafale verdict have been incorrectly attributed,” it said. The court has asked Rahul to file his reply before next Monday, April 22, which is the date for the next hearing. In her petition, BJP’s Meenakshi Lekhi had claimed that ‘the words used and attributed by him (Rahul Gandhi) to SC in the Rafale case has been made to appear something else. He is replacing his personal statement as the Supreme Court’s order and trying to create prejudice”. Lekhi, the BJP MP from New Delhi, filed the petition alleging that Rahul had committed contempt by attributing his ‘chowkidar chor hai’ remarks on the Rafale controversy to the top court. The bench comprising Chief Justice Ranjan Gogoi and justices Deepak Gupta and Sanjiv Khanna heard the petition on an urgent basis last Friday. Sections of the ruling BJP had been vocal about the need to bring in a contempt plea against Rahul. Defence Minister Nirmala Sitharaman had also said so, soon after Rahul’s comment on the apex court’s permission to allow some ‘stolen’ documents while hearing the plea for review of its December 2018 verdict in the Rafale case.